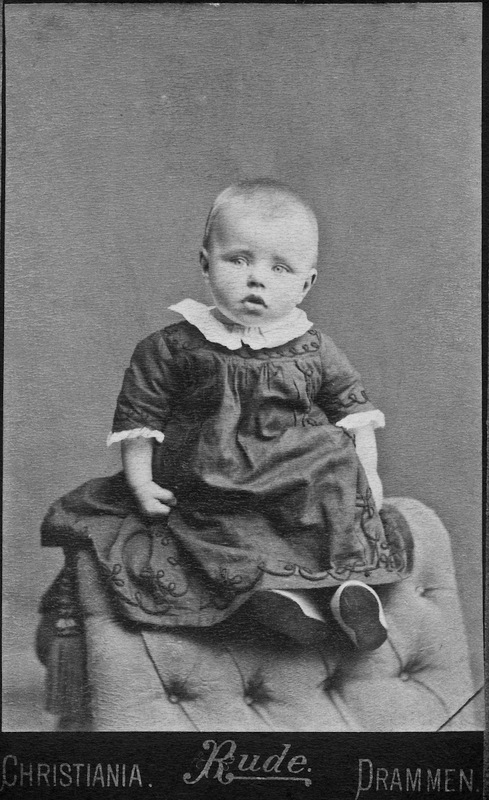 By 31 May 1903, when youngest sister Astrid was baptized, the family had moved again and were now living in house No. 21, across the street from their previous home (23). 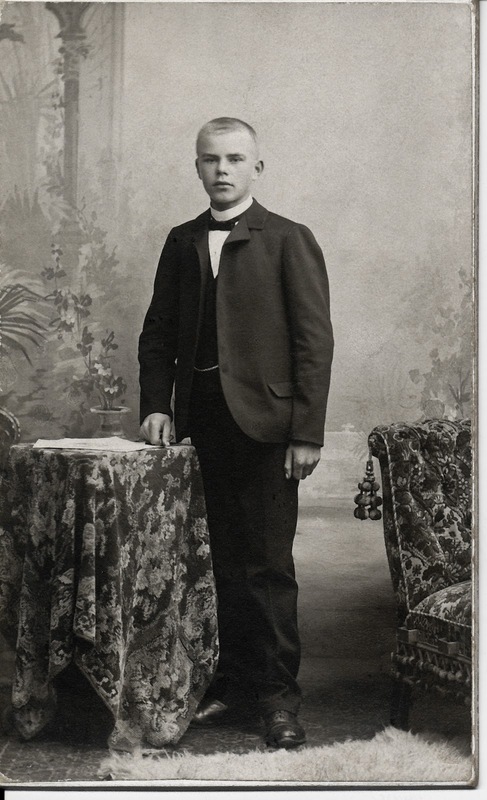 Christoffer was confirmed on 02 Oct 1904 in Svelvik, Vestfold,4 and took to the sea immediately aboard the "Ellen Grant" where he learned to sail like his father and with some additional schooling, worked his way up to the rank of first mate. 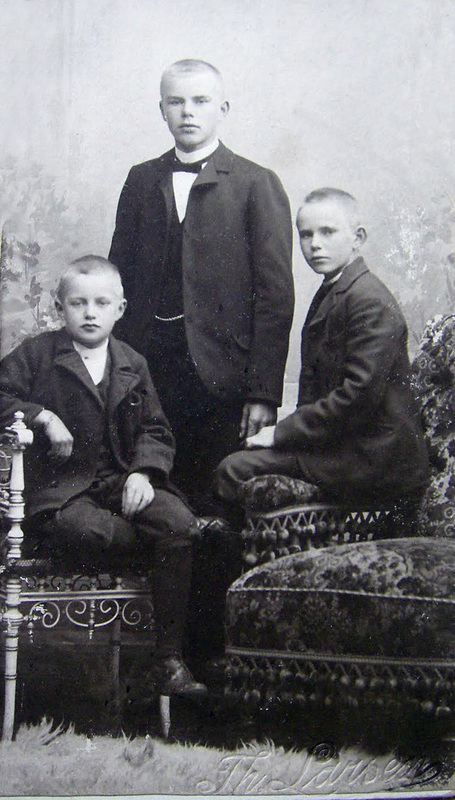 Life in Norway was difficult during this time, as their economy was in a deep depression (during the 100-year period of 1830-1930 only Ireland had higher emigration rates). 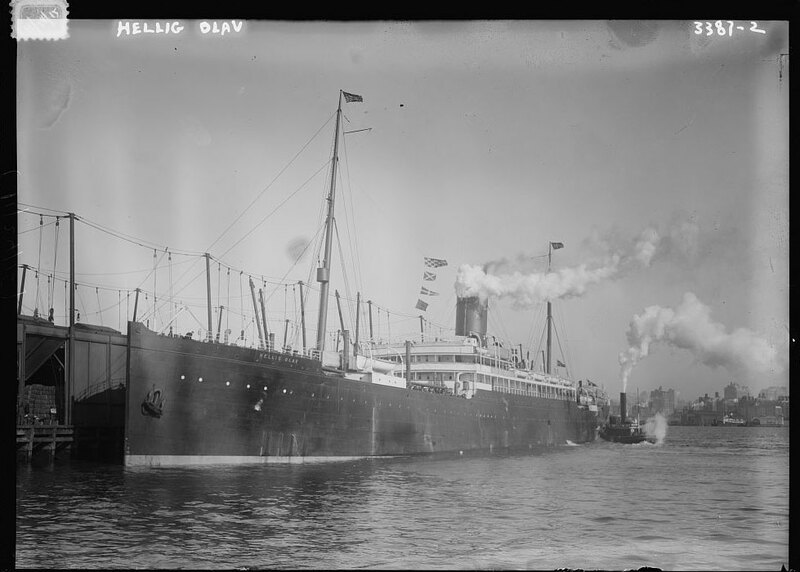 This contributed to a massive decline in the maritime power that was the Norwegian sailing fleet while the country struggled to transition to steamships during an economic period that required this major investment. 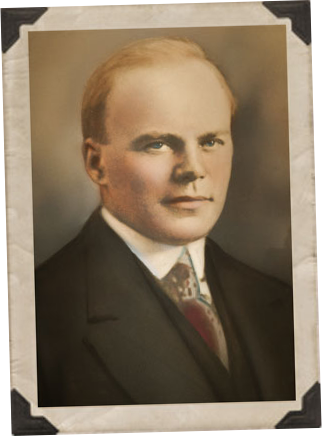 In 1900, a crash in the Norwegian building industry led to a major financial crash and stagnation for the next 5 years. Things would start to turn around after the country gained their independence from Sweden in 1905, but I'm sure the uncertainty surrounding their future at this time would have been concerning. 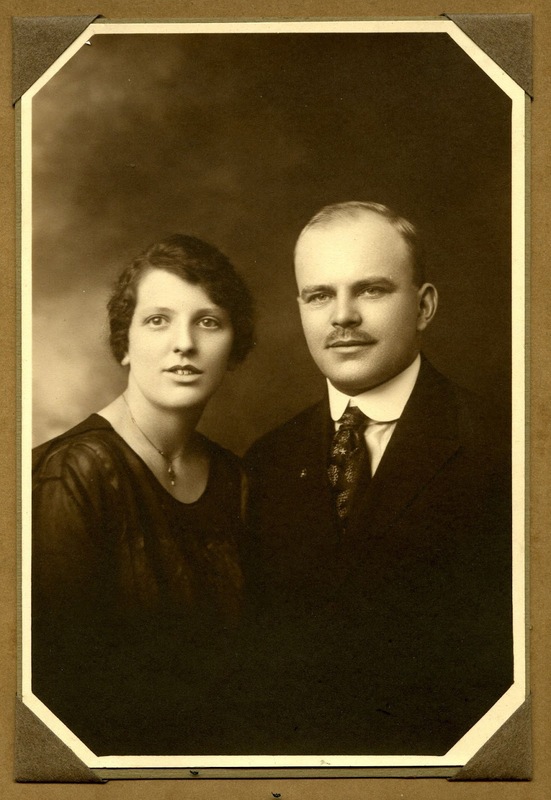 Christopher Lowe married Thora Marie Haugen on 02 Jan 1918 at the home of Reverend Oscar Strom at 5407 Franklin Avenue in Rocky River, Ohio. 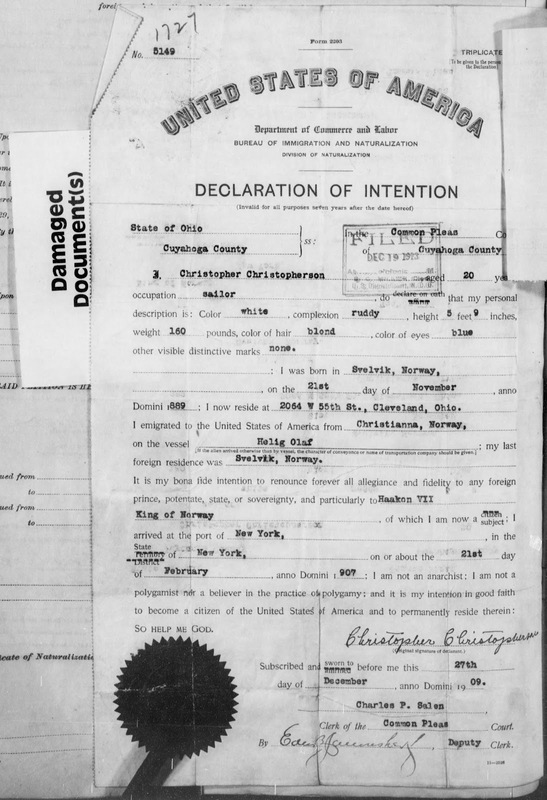 Christopher was 8 years her elder. The couple was married by Rev. 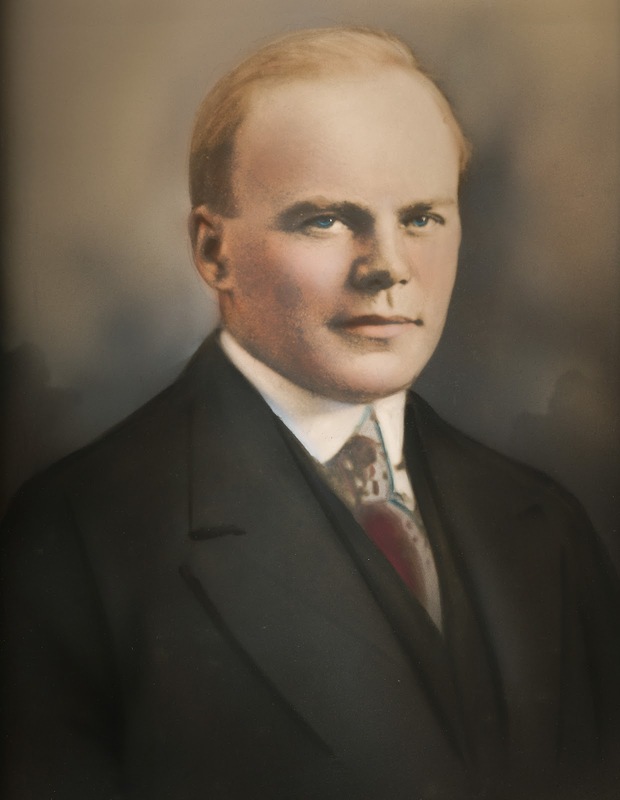 Strom, who also performed many of the Andreasen/Anderson family weddings in Cleveland.10 Witnesses to the marriage were Oscar's wife Anna L. Strom and Emma Dyeland. Thora & Christopher's Wedding (1918)After Christopher and Thora’s marriage, they moved into a rental property at 1915 West 73rd Street.11 In 1921 they moved to 4214 Trowbridge Ave.12 and in 1922 they moved the family again where they were found at 2045 Spring Road, all in Cleveland.13 About 1924 Christopher was able to finally purchase a house at 3343 Lincoln Avenue in Parma where he would raise his family. 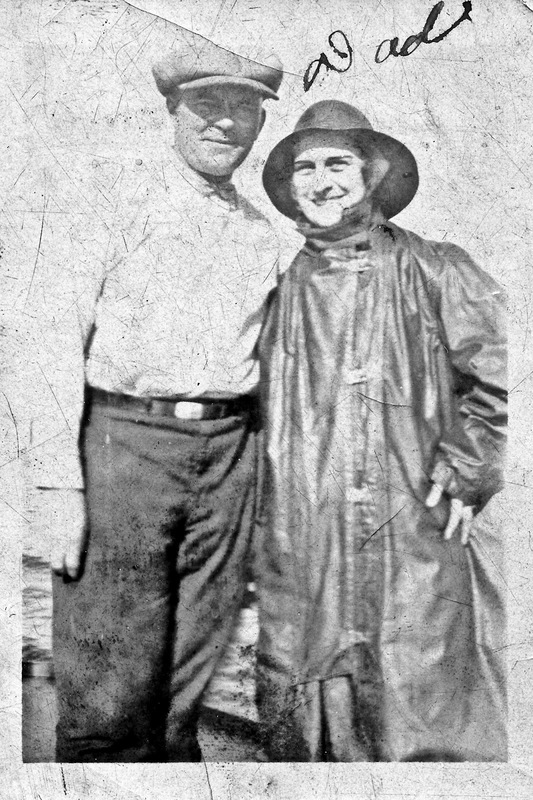 Christopher became ill while working as a First Mate aboard the steamer William C. Atwater, and about May of 1928, it was determined through clinical findings that Christopher had carcinoma of the lung, better known as lung cancer. Things went from bad to worse about March the next year when the doctors had more troubling news: it was determined that Christopher's lung cancer was metastatic, meaning it wasn't the originating form of cancer, just a secondary location it had spread to. They had now discovered that Christopher had carcinoma of the Nasopharynx. 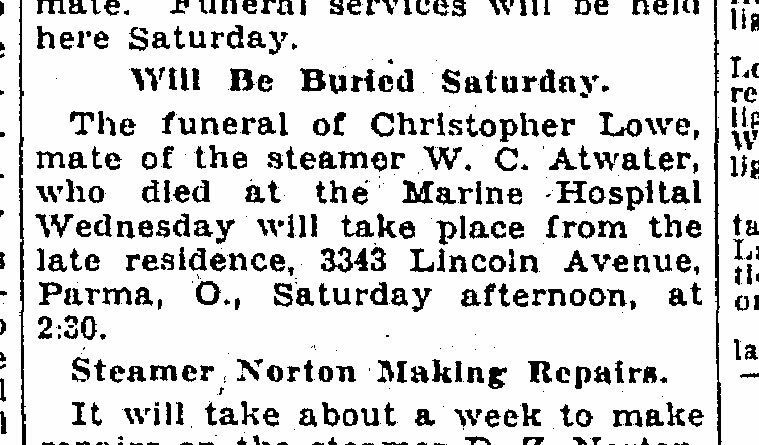 Funeral Notice in Cleveland Plain Dealer (1929)The Nasopharynx is the area located behind your nose & above the back of your throat. This type of throat cancer is extremely rare in the US today and still hard to diagnose, meaning it was very advanced by the time they were able to diagnose it in 1928. Cancer had no treatments or cures in the 1920s as radiation and chemotherapy treatments had not been invented yet. All Christopher could do was return home and continue living his life. 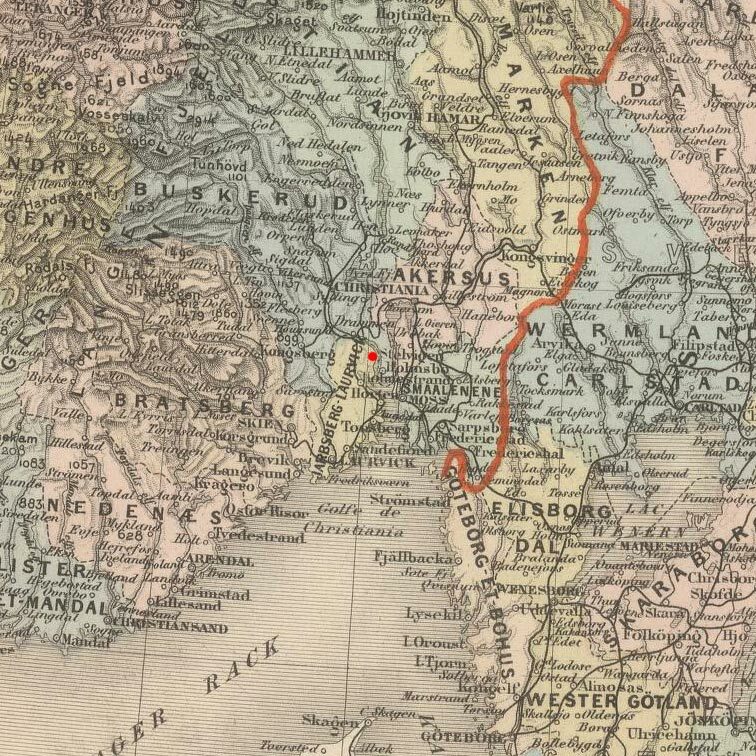 A Norway Parish Registers for Svelvik at the time of Cornelius' baptism were not located under their current county of Vestfold. At the time, Svelvik's Stromm church was a part of the Hurum parish in Buskerud County. 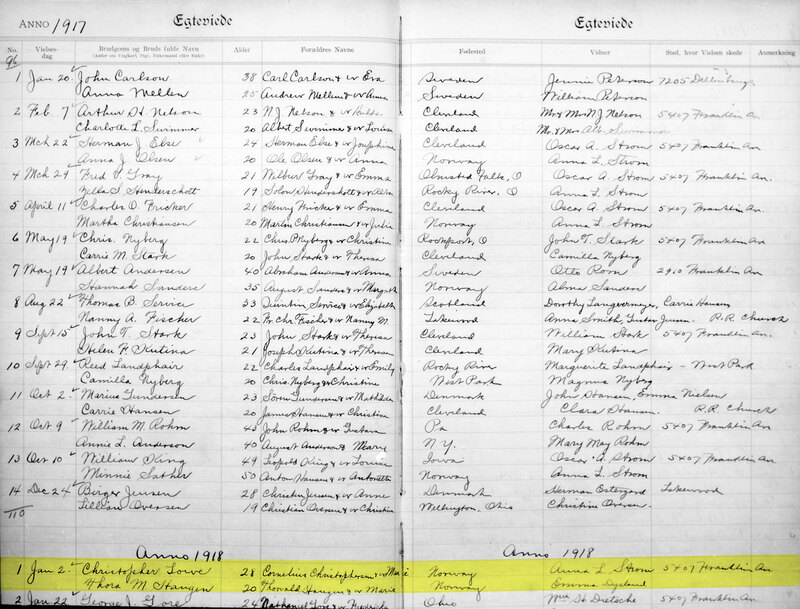 B In 1912, when Cornelius starts the application process to become a naturalized citizen of the United States he lists his residence as 7812 Euclid Avenue. I have no other documentation to back up that they ever lived in the church while Cornelius was a sexton, but since it's mentioned, I felt I should list it just the same. My belief is it's more likely that with the frequency of his family relocating almost on a yearly basis, Cornelius chose to write his job and place of worship as his residence, since they would always be able to find him throught the church no matter where he was during the application process. C While we don't have a record of the congregation prior to Christopher & Thora's marriage to be certain, we do know they attended Our Savior's Lutheran Church of Rocky River, which was predominantly a Scandinavian and Danish Church. Every first Sunday of the month was a full Scandinavian service with the rest of the month in English. All of the Norwegian cousins attended services at this church and it wouldn't be out of the question for Christopher and Thora to meet here either (given she was a Norwegian immigrant as well). 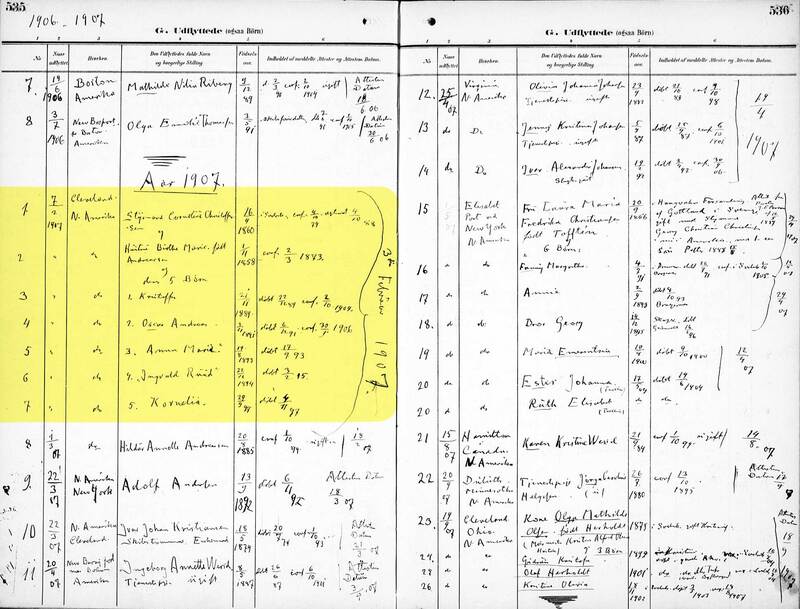 What role did Christoffer have in the use of the family name Loe? Was this his idea or another family member's? Did Christoffer's father approve of Christoffer's name change (or possibly even suggest it)? 2 Svelvik Real Estate Register about House 11a; The National Archives of Norway: The Digital Archives (Digitalarkivet); Oslo, Norway; (http://www.arkivverket.no/URN:tl_read?idx_id=15016&uid=ny&idx_side=-103); Visited:13 Jan 2014 ; Protocol number: VI 4, Place: Nordre Jarlsberg sorenskriveri, Strømm, Svelvik tinglag, Location: SAKO; Pages: 173-174. 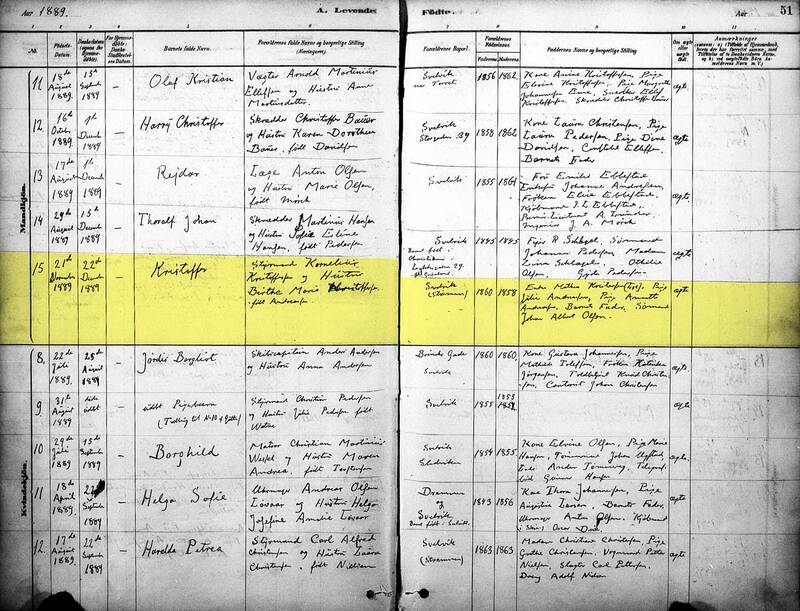 3 1900 Norway Census about Kristoffer Kristoffersen; The National Archives of Norway: The Digital Archives (Digitalarkivet); Oslo, Norway; (http://digitalarkivet.no/cgi-win/WebCens.exe?slag=visbase&sidenr=20&filnamn=f00701&gardpostnr=16&personpostnr=57&merk=57#ovre); Visited:13 Jan 2014 ; Vestfold county, Svelvik, Census of Tømmeraas Gade, Entry No. : 57-63; Family No. : 16. 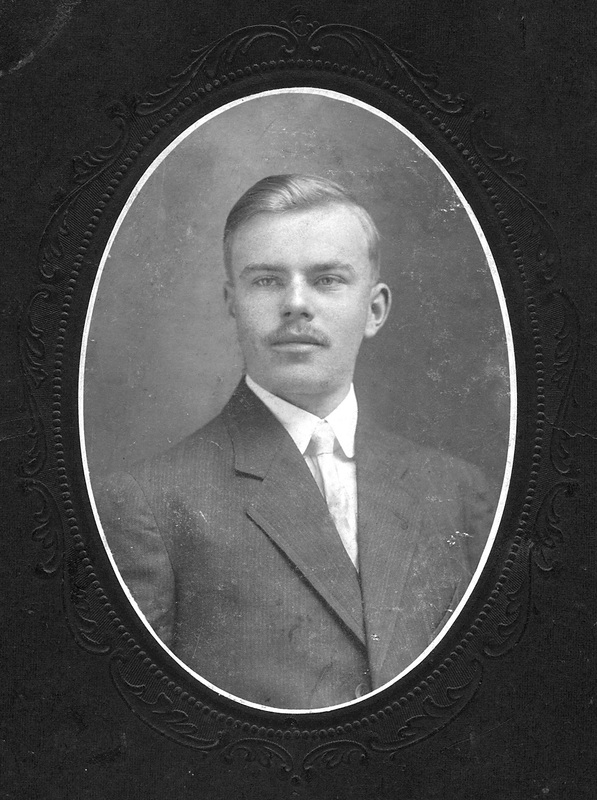 4 Norway Parish Registers, Confirmation Records about Kristoffer Kristoffersen; The National Archives of Norway: The Digital Archives; Oslo, Norway; (http://www.arkivverket.no/URN:kb_read?idx_kildeid=1328&idx_id=1328&uid=ny&idx_side=-111); Visited:13 Jan 2014 ; Vestfold county, Svelvik in Strømm, Parish register (official) nr. 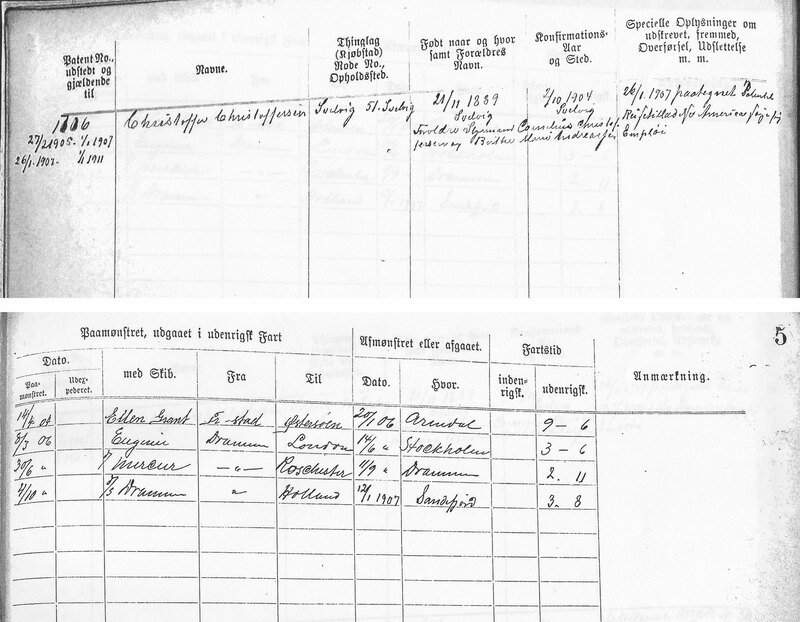 II 2 (1900-1919), Confirmation records 1904, page 267-268; Entry: 2. 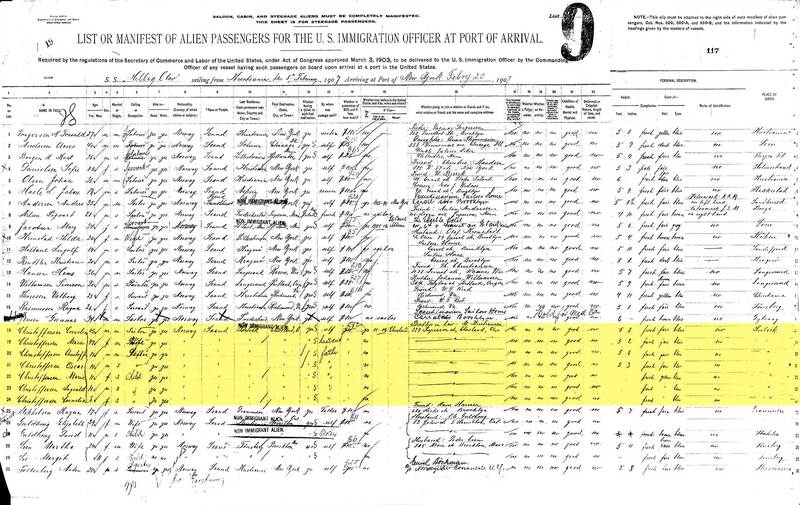 5 New York, Passenger Lists, 1820-1957 about Christoffer Christoffersen; Year: 1907; Arrival: New York, New York; Microfilm Serial: T715; Microfilm Roll: 831; Line: 20; Page Number: 117. 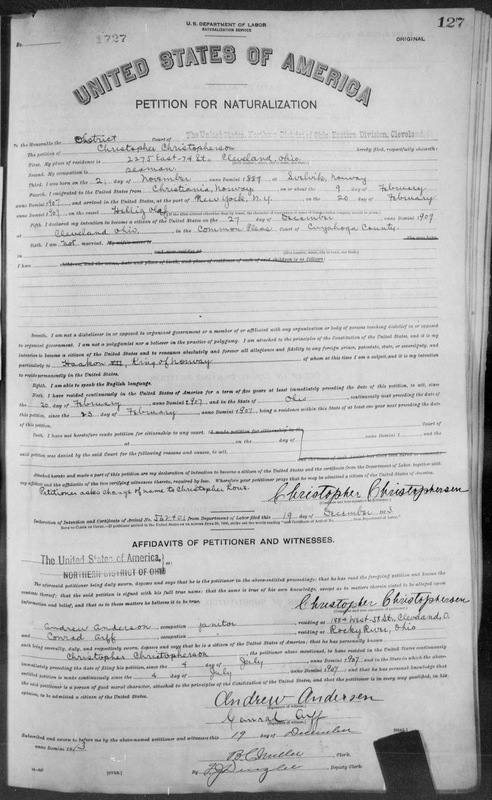 6 U.S. Naturalization Records, 1906-1995 about Christopher Lowe; National Archives and Records Administration (NARA); Great Lakes Region; Chicago, IL; Naturalization Petitions for the U.S. District Court for the Northern District of Ohio, Eastern Division, Cleveland, 1906-1967; Christopher Lowe; Issue: 8 Apr 1914; Born: 21 Nov 1889. 7 Christopher Christensen and Mathea Gulliksdatter; from the book "Forfedrene Og Vi" by Sigfred L. Eier; 46 Pages; Published in Svelvik, Norway; 1942; Pg. 14. 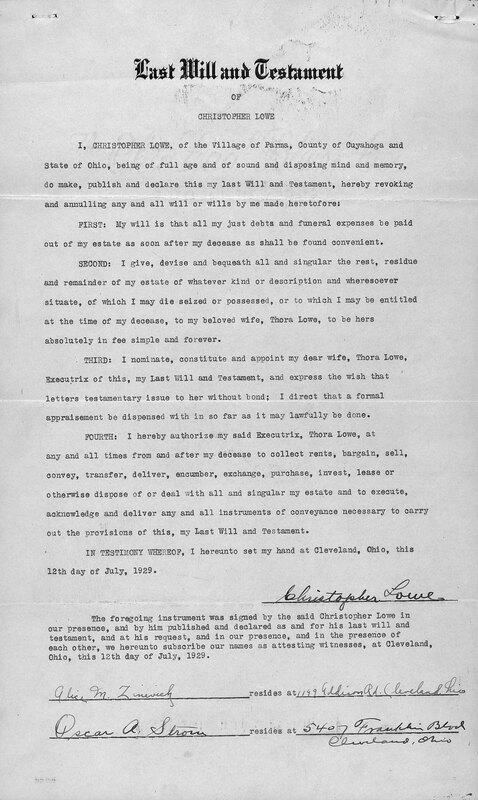 8 Ohio Certificate of Death for Oscar Lowe Christopherson; "Ohio, Deaths, 1908-1953," index and images, FamilySearch (https://familysearch.org/pal:/MM9.1.1/X8XV-XTY : accessed 14 Jan 2014), Oscar Lowe Christopherson, 23 Sep 1914; citing Cleveland, Cuyahoga, Ohio, reference fn 49365; FHL microfilm 1983281. 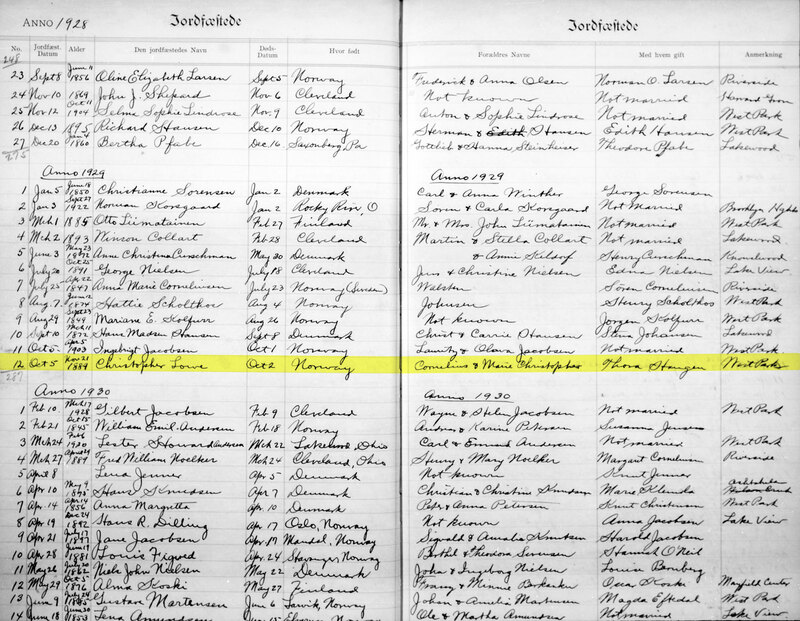 9 Ohio Marriage Record for Anna Marie Lowe; "Ohio, County Marriages, 1789-1994," index and images, FamilySearch (https://familysearch.org/pal:/MM9.1.1/XDGW-Q5Z : accessed 14 Jan 2014), Carl J. Oxford and Anna Marie Lowe, 27 Dec 1916; citing Cuyahoga, Ohio, United States, reference i419 p335 cn114337; FHL microfilm 1888791. 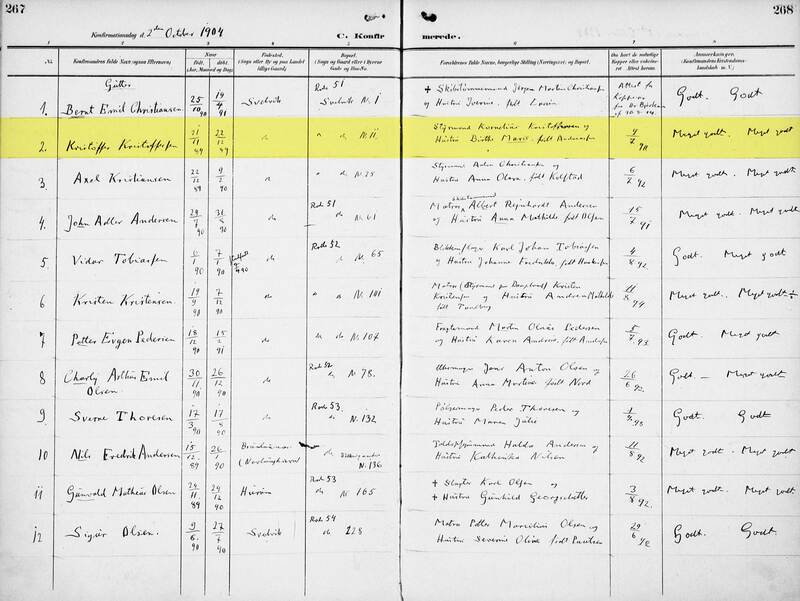 10 Ohio Marriage Record for Thora M. Haugen; "Ohio, County Marriages, 1789-1994," index and images, FamilySearch (https://familysearch.org/pal:/MM9.1.1/XDGC-ZYH : accessed 14 Jan 2014), Christopher Lowe and Thora M. Haugen, 02 Jan 1918; citing Cuyahoga, Ohio, United States, reference 124786; FHL microfilm 1888793. 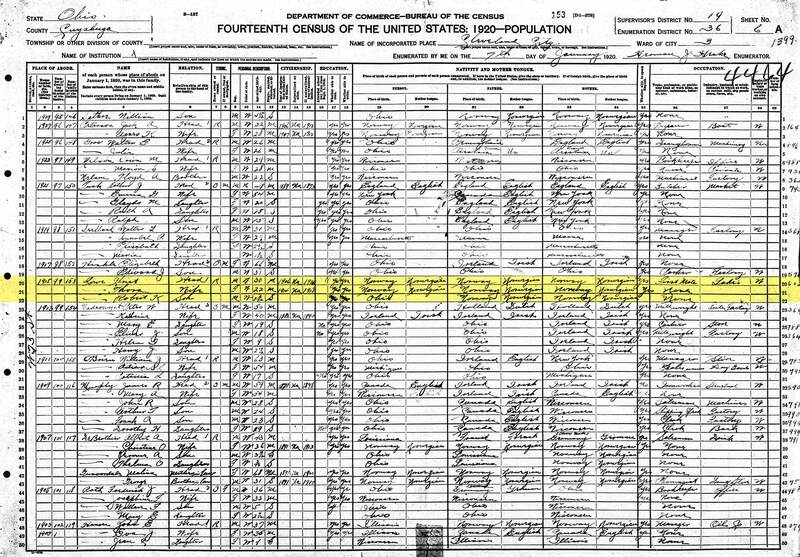 11 1920 United States Federal Census about Christ Lowe; Year: 1920; Census Place: Cleveland Ward 3, Cuyahoga, Ohio; Roll: T625_1360; Page: 6A; Enumeration District: 36; Image: 899. 12 Cleveland City Directory 1921-1922 about Christopher Lowe; Cleveland, Cuyahoga, Ohio; Cleveland Public Library, History Department. Cuyahoga County, Ohio; Identifier: F499.C6 A17X 1921; Published: Cleveland Directory Co., 1921; Printed volume, 3304 pages; Page: 1811. 13 Cleveland City Directory 1922-1923 about Christopher Lowe; Cleveland, Cuyahoga, Ohio; Cleveland Public Library, History Department. Cuyahoga County, Ohio; Identifier: F499.C6 A17X 1922; Published: Cleveland Directory Co., 1922; Printed volume. 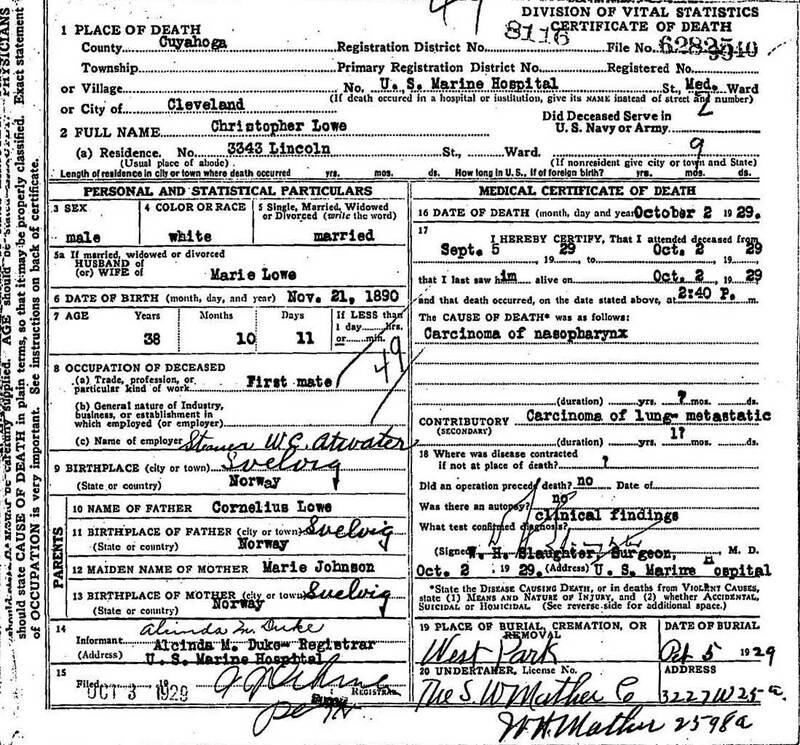 14 Ohio Death Record for Christopher Lowe; "Ohio, Deaths, 1908-1953," index and images, FamilySearch (https://familysearch.org/pal:/MM9.1.1/X6Z1-KGN : accessed 14 Jan 2014), Christopher Lowe, 02 Oct 1929; citing Cleveland, Cuyahoga, Ohio, reference fn 62825; FHL microfilm 1992017. 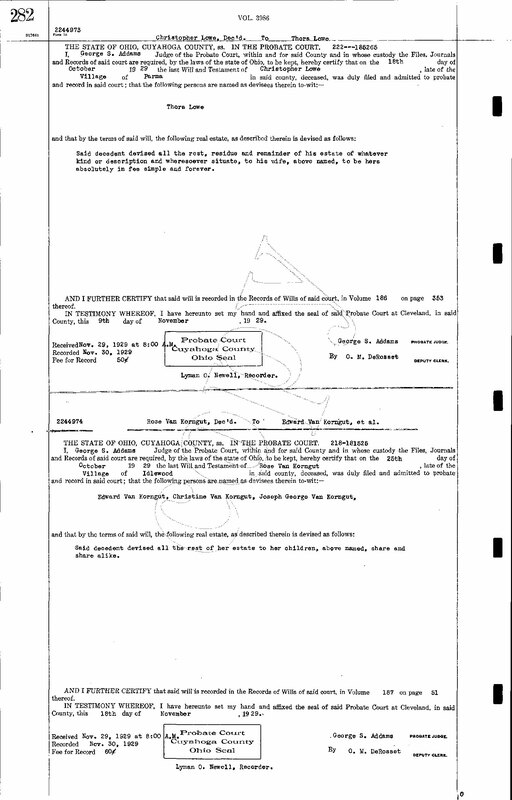 15 West Park Cemetery Burial Record for Christopher Lowe; "Ohio, Cleveland Cemetery Interment Records, 1824-2001," index and images, FamilySearch (https://familysearch.org/pal:/MM9.1.1/K6WC-4X3 : accessed 24 Sep 2013), Christopher Lowe, 1929. 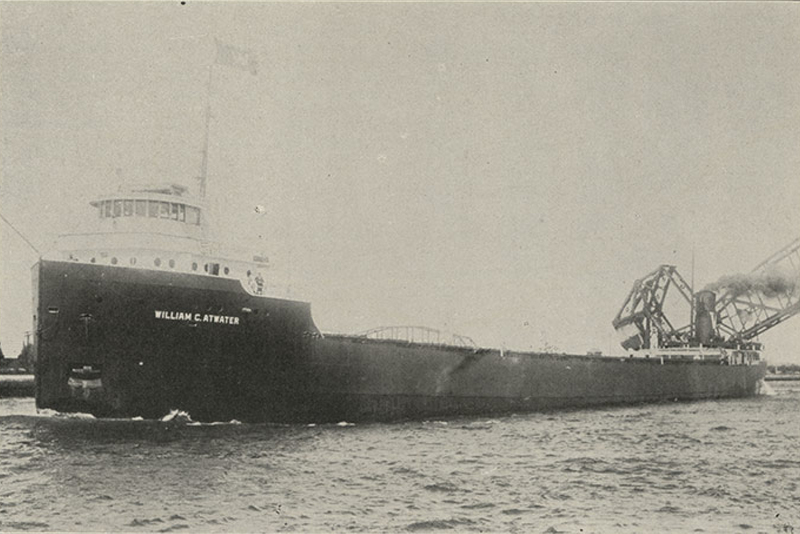 1st Mate, Steamship #25 - Hutchinson & Co.